Planning a wedding can be nerve-wracking for the best of us. You’re engaged and dream of a fairytale wedding. But increasingly, the interactions regarding planning the big event turn it into a nightmare. Several engagements break off at this stage since two people finally come to realize that their relationship is far more expendable compared to their expectations of their partner. But that is often the bad solution. The man doesn’t care! – If you’re a woman, you’d know this moment instantly. While you work hard to get every detail right – curtain patterns, table linen colors, even the flower decoration at the entrance, the man just doesn’t have a clue. Worse, he doesn’t think it is worth spending any money or time over. However, as most psychologists point out – this isn’t something men are naturally conditioned to do. So take your time, engage him in some activity which he can find some interest in. Most of all treat it with sensitivity and calm and you might find your man surprisingly good with some things. Maybe he can handle the electrical or mechanical aspects of the decoration very well. Perhaps he can suggest a good theme to engage the crowd. At the same time, ensure that he isn’t shirking the responsibilities since he things it is the ‘bride’s day to shine’ and being an escapist. Aesthetics aspects – He wants a wine red; you want a bright crimson. You want candles on each tables; he rules it out as ‘silly’. The list goes on. Unlike the previous case, here your fiance is more interested and involved in the details. But that involvement is creating a new problem. The first key is to share the decision-making and duties for wedding plans. Don’t let it be a turf-war or ego battle. Pick the priorities by letting people around you rate on a scale of one to ten the importance of each detail if you must. It is never too early to know how to negotiate, compromise, and prioritize. These skills work their way into the married life as well. 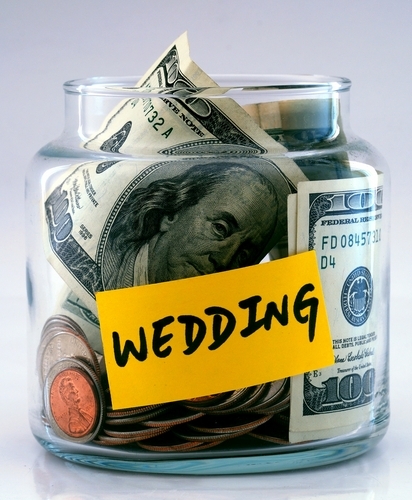 Money – Ignore at your own peril but the wedding budget is the single most important aspect which can make or break your relationship. You both will have different views on what you should spend most on. 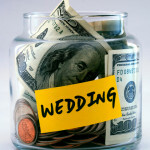 While you think your dress is worth it, he might want to spend on a lavish honeymoon to Greece. Talk through it. Logically, while the wedding dress is totally your show, honeymoon is something both of you would enjoy. So equality wise, there is no reason to rubbish his choice for once. And if you can work out your finances to accommodate both, great! Location – Another aspect where differences can naturally crop up. It is possible that you both come from two hugely different worlds. You may love a sassy wedding in an urban, cool setting but he is perhaps rooted to his suburban or countryside days of childhood. Take a step back, think hard. Is it important for you to wreck a good wedding in favor of a good-looking one? Would it embarrass you if your friends saw that your partner’s childhood buddies are men you don’t expect in a white-tie event? You both may have a point, but discuss it. And remember, nothing works for a wedding better than having the event accessible to friends and family. So plan your location accordingly. Prenups and other legal agreements – Irrelevant as it may sound, this could be one moment you thank the stars for several years later. Sure, it makes no sense to plan the divorce, alimony, property division and all other pre-nuptial and legal details when even the wedding isn’t planned yet. But given the high rate of relationships falling through the cracks owing to several different kind of pressures couples are subjected to in today’s world it isn’t such a bad idea to keep it out in the open. Marriages can be massive as an emotional commitment. Despite having known a person through an entire length of relationship, it throws up new surprises in how you accustom yourself to a person. The least you can do as a couple is acknowledge the difference in viewpoints, people and backgrounds you come from. Control the material factors with discussion, persuasion and common sense as two adults are expected to. Remember, you wanted a great wedding – but the greatest thing is the partner you chose for a lifetime. And there is no better ingredient than that! How to address boredom in a Marriage?